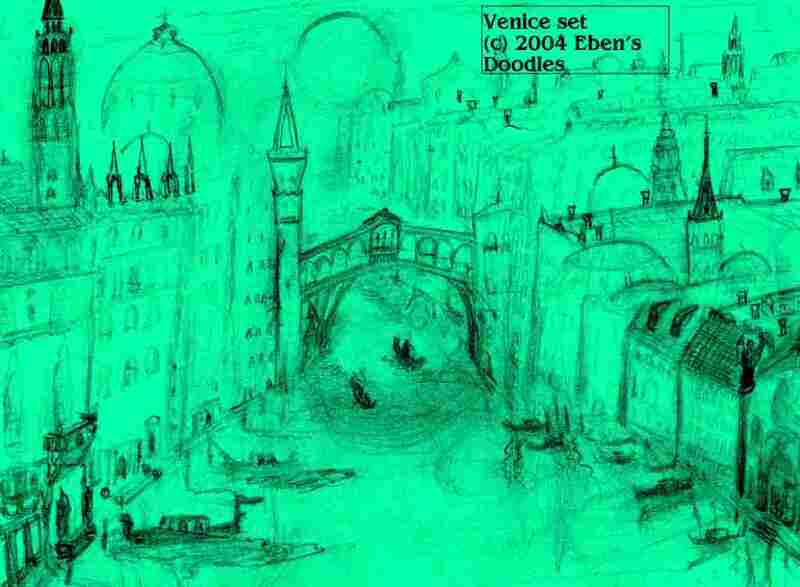 Ancient Hebrew, Scandinavian, and Islamic peoples tell of great bridges connecting Heaven and Earth. 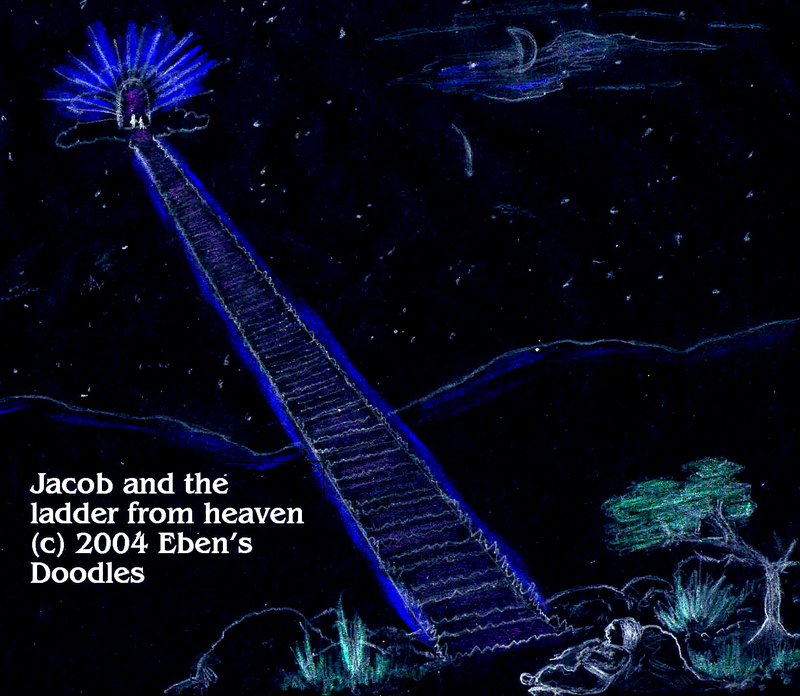 In the Biblical account, a bridge has been popularized inaccurately as "Jacob's ladder." As described in the Bible's Book of Genesis, however, it was seen in a vision by Jacob (later the Hebrew patriarch) as he fled from Hebron (or Kiriath-Arba in southern Palestine) to Padan-Aram in Syria to escape from an angry first-born brother, Esau, from whom he had stolen the birthright and the blessing of their father Abraham. It was no ladder at all but a celestial staircase-bridge on which Jacob saw innumerable angels ascending and descending between the celestial and the terrestrial. On awakening, he was so struck with awe by what he had seen that he made the place of the vision a shrine and called it "Bethel," the House of God, marking the spot by erecting his stone pillow as a monument. Surely, a ladder would have presented a strange and awkward spectacle as angels tried to ascend and descend at the same time, whereas Jacob was understandably overwhelmed when he saw a magnificent, many-tiered bridge-staircase, much like those that the Sumerians and Babylonians built into their great ziggarats. Jacob's bridge apparently carried traffic in both directions, as most bridges do. 2. The Scandinavian or Viking Bridge is Bifrost, the Rainbow Bridge of the warrior hero-gods, the AEsir. Bifrost connects Earth to heaven, or the heavenly abode of the gods called Asgard. Midgard was the battleground of men. Asgard and the bridge to it was reserved to the AEsir, apparently. Mortals, if heroic enough, could sometimes go and visit the halls of Valhalla, another part of Viking Heaven. All this is to be overthrown and destroyed in Ragnarok, the downfall of the gods, brought on by the Frost Giants and the Mountain Giants. The whole universe will perish in their downfall. 3. The Islamic or Moslem bridge is Al-Sirat, the Bridge of Judgment. It is so narrow the Moslem people say that only the pure and blameless can tread it without falling off into the abyss of the damned. Al-Sirat reaches from Earth to Paradise, with traffic of approved souls going only one direction, heavenward. This fearsome bridge compares to the one shown in the saying: “He who cannot forgive others destroys the bridge over which he himself must pass. 4. 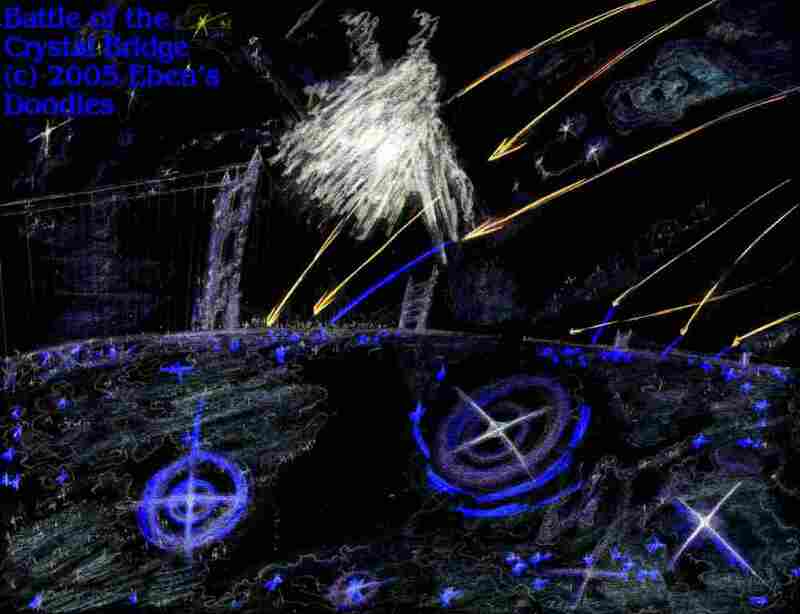 In the Chronicles, the Bridge of the Twin Earths was strictly terrestrial, connecting the Twin Worlds, the two Earths. It was destroyed circa 10,000 B.C. in a later skirmish of the War of Heaven, a universal conflict. 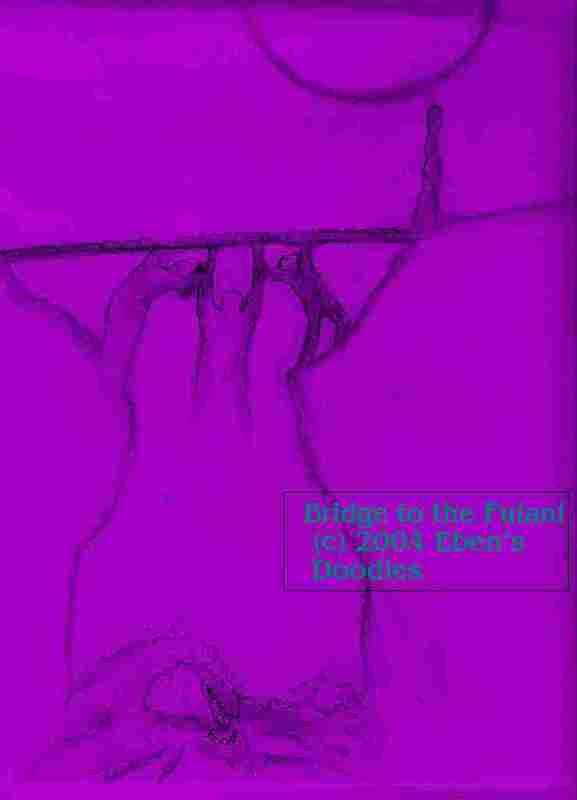 Some remembrance was left on both Earths for a time, but it was eventually forgotten. The only ruins left are hidden from civilization, far up in the mountains of the western Andes (called the Golden Mountains on Earth II). Above the shore of the Black Lake the remains of the Bridge are hidden under jungle vegetation, and yet they are still capable of producing catastrophic effects in the area. 5. The Pont d'Avignon is entirely terrestrial; it is today only a picturesque ruin jutting out into the southern France's swift-flowing Rhone River and then ending abruptly after a few spans. It was there Orfeo Villa-lobos (in the Chronicles) learned to please tourists and earn enough pennies to keep himself alive in the bad times that were slowly shutting down Europe after the 22nd Century. 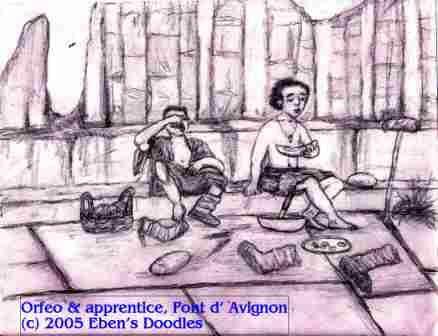 Starting out from the former Papal City of Avignon, Orfeo fled plague and starvation in Europe and went to South America, to the only city of considerable population, Buenos Aires, to try his fortune. His adventures included going on an expedition that ended in the re-location of Earth II. 6. The Bridge of Faith; in Hades (the part that was perpetually aflame and full of torment), Duamutef, a former chief priest of a moon-god temple in Mizraim, “constructs” a span across the abyss that separates Elysium-like hills of the Blest from the condemned souls awaiting eternal judgment and punishment. When Yeshua comes to “harrow hell,” Duamutef responds to His coming with faith and leaps across the abyss and the raging river below, an impossible feat. At the close of the period after the Re-location, Earth II is returned to its former location in a temporarily restored Solar System. 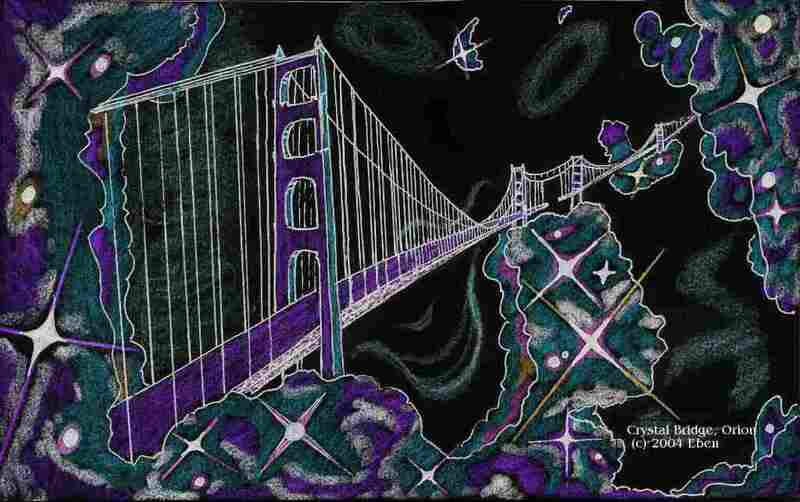 The Bridge too is restored, though the inhabitants of Earth I are totally unaware of their linking up with their long-lost twin world. 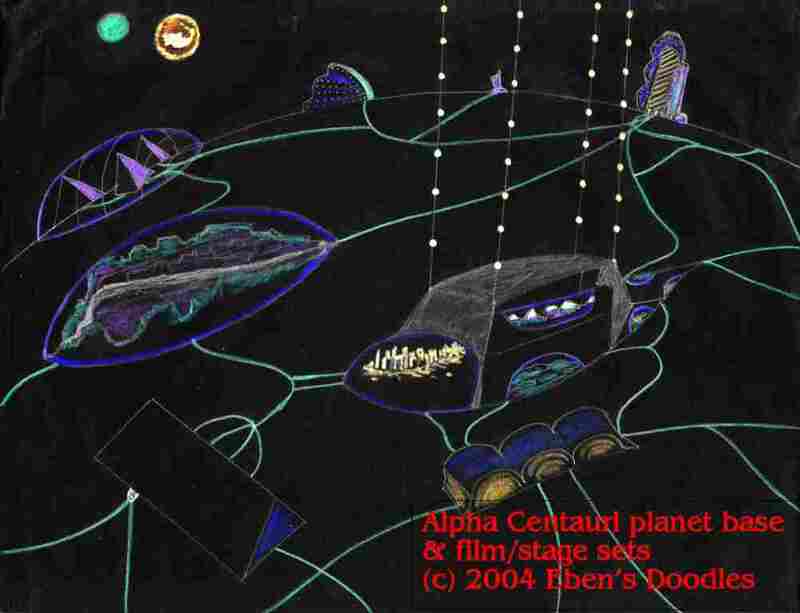 This events occurs shortly before the apocalytic events on Earth I depicted graphically in the book of St. John the Divine, the Revelation of Jesus Christ. This bridge was effectively destroyed when sin entered the world. 7. 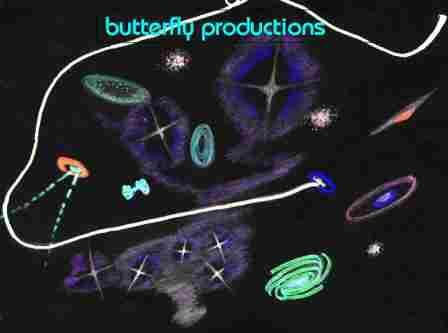 The Blue Bridge; located in the Great Nebula of Orion; a secret work of the ages; its reason for existence was also the reason why it took so long to complete; fought over in two great conflicts, the First and Second Battles of Orion; its final completion brought the re-union of the Two Universes and the Twin Earths. 8. The Bridge to the Fulani; located in Third World Cameroon, this was erected by a young missionary couple, Ron and Carol Swenson, who attempted to reach from the First World across gulfs of time and culture to human beings no one in the outer First World cared much about--human beings who were, nevertheless, not forgotten by their Creator. 9. The Bridge of Sighs; this was originally a famous bridge in Venice, over which condemned and sentenced unfortunates passed to their fates in prison or death chamber; later this bridge figures in the epic productions of the Alpha Centaurians, who escaped from Earth II in the 22nd century and were never able to return, try as they might; relocated to a giant planet, they have plenty space to concoct fantasies on a gigantic scale. They include Venice on one of their stage sets (somewhat like Las Vegas has done recently in building the Venetian mega-casino and hotel, except that the A-C's Venice is a working stage set).